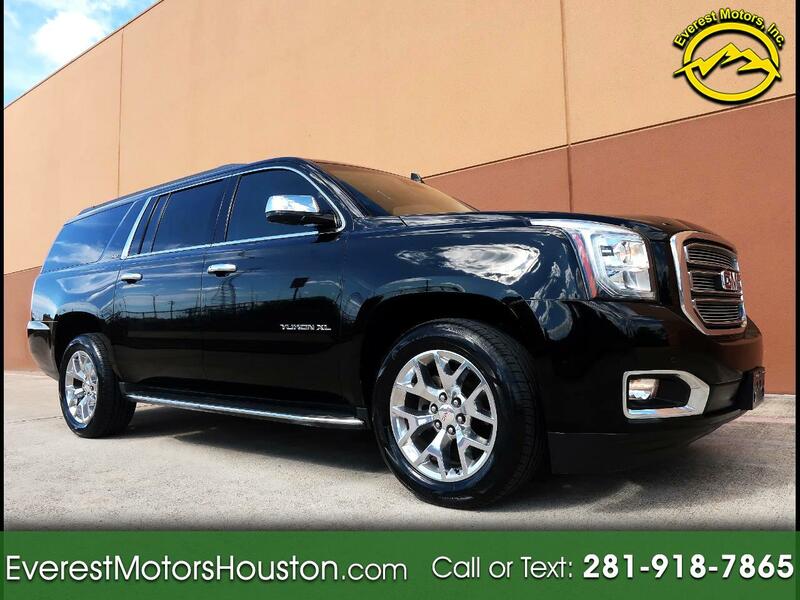 Used 2016 GMC Yukon XL C1500 SLT 2WD 1-OWNER for Sale in Houston TX 77063 Everest Motors Inc. This Luxury One Owner GMC is in Great condition inside and outside and offers many extra options along with an impressive performance, 5.3L V8 Gasoline Engine and 6-Speed Automatic Transmission!!! Engine runs super strong with absolutely no smoke, or any extra noise! Automatic Transmission is smooth, responsive and noise less and also rides, looks and drives Great! All the power equipment and gauges work Great. exterior color is in Great condition with no major ding, dent or scratches, however you might find a few super minor scratches, dings or chips here and there as you would expect on any used vehicle. Rock chips on hood and light scuff/ding on driver and passenger door (Pictured). windshield is crystal clear. Interior as shown in the pictures, is in Great condition with no sign of abuse! Everything looks fresh inside and there is no scratch, tear or wear anywhere, Leather seats, headliner, and door panels look very Clean! Carpet has no stain and it is super clean! Four Matching 275/55R20 Tires are in Great Shape. This SLT comes with One Keys/Remote , Books And Factory Window Sticker!!! Don't miss the chance to own this beautiful One Owner loaded Luxury family SUV, super clean and sharp looking Yukon! All our vehicles are sold AS IS with no warranty!